Socialist magazine Against The Current interviews New York Green Party candidate Howie Hawkins in their March-April issue. This is a comprehensive and highly informative interview about strategy, the campaign, and how the party is building on its success. We tried to summarize the election as a choice between the Green prosperity plan and the Cuomo/Paladino austerity plan. The response to our program of ordinary people on the streets, in local events and in local radio and TV interviews was overwhelmingly positive. Name recognition means a lot. I’m well known in Syracuse. I got 41% for city council in 2009. For Governor, I got 5.3% in my home county and 3-4% in adjacent counties in the same media market where people know me and my politics. Statewide I got 1.4% overall, pretty consistently across upstate except for 2.5% in the Albany area, due, I believe, to protest votes by state workers whom Cuomo targeted for layoffs and wage and benefit cuts. We did worst in the New York City area, less than one percent in its outer boroughs and suburbs. 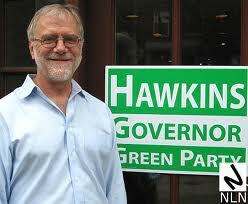 The Hawkins/Mattera ticket was the only independent minor party to pass the 50,000 vote threshold. 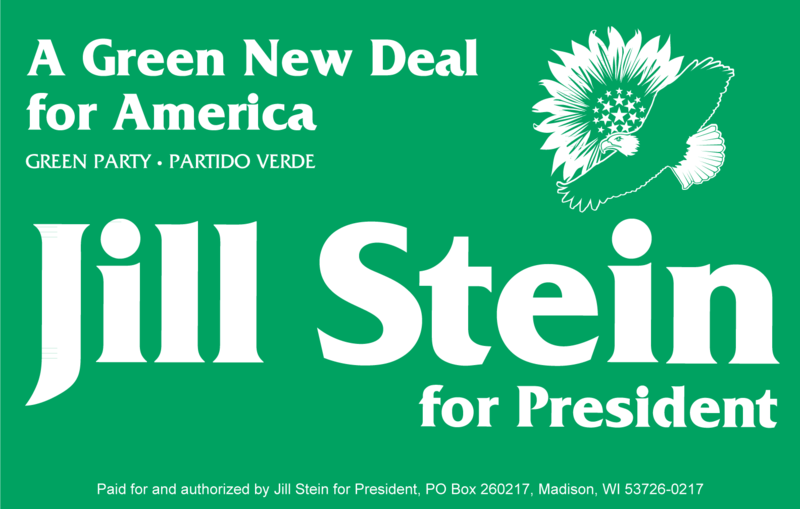 So the NY Green Party will have automatic ballot access for the next 4 years, while candidates with more media notoriety (Jimmy McMillan) failed the test. The entire interview is well worth reading and is available here: Renewing New York — an interview with Howie Hawkins. Join us for an important TOWN HALL meeting! Is South Carolina broke? Or is our tax code broken? After a panel discussion, the public will be invited to ask questions and make comments. We need YOU at the table for this important conversation. Come out and speak up! Read more about this event here. If you’re in the Columbia area, please attend. The South Carolina Green Party has become the first political party in South Carolina to pass a resolution demanding our legislature to acquire a voting system with a verifiable paper trail, in addition to requesting our legislature to “direct the Legislative Audit Council to initiate a review of the iVotronic voting machines”. We would like to thank Eugene Platt for all his hard work, persistence, and determination in helping pass this resolution. Eugene Platt was also instrumental in getting the James Island Public Service District to be the first group of elected officials to pass a resolution for a new voting system in South Carolina. Below is the entire resolution. BE IT RESOLVED: The South Carolina Green Party implores the State Legislature, during its current session, to direct the Legislative Audit Council to initiate a review of the iVotronic voting machines, toward replacement with voting machines (made in the U.S.A. if available) that incorporate a paper trail—or, alternatively, replacement with any other creditable procedure, including paper ballots—which will increase voter confidence in the electoral process. WASHINGTON, DC — Green Party leaders urged President Obama to expand his goal of raising taxes on the wealthiest tax brackets, and insisted that the key to dealing with the deficit is reversing tax cuts for the wealthy, even greater reductions in military spending, and ending the wars. Greens strongly rejected the President’s proposal on Wednesday for $1 trillion in cuts to Medicare and Medicaid. Join Us at the State Convention on May 14th! Please join us for the annual state convention of the South Carolina Green Party in Columbia on Saturday afternoon, May 14th. Details will be announced soon. Everyone is encouraged to attend! Nominations are now open for election to the Steering Committee. Nominations and confirmations (see below) must be received no later than April 30th (two weeks before the State Convention). The terms of five Steering Committee members are ending (Gregg Jocoy, Rolf Baghdady, Leslie Minerd, Nammu Muhammad, and David Whiteman), so five two-year positions will be open. After nominations are closed on April 30th, the Steering Committee will provide a final list of nominees. Nominations may be emailed (to at scgreenpartyinfo@earthlink.net) or mailed (SCGP, P.O. Box 5341, Columbia, SC 29250). In order to be eligible to be on the ballot, anyone nominated must certify by April 30th that they (a) are interested in being on the ballot, (b) are a member of the Party, and (c) do not occupy a leadership position in any other political party. All nominees should also submit a brief personal statement for inclusion in the SCGP Bulletin and the State Convention agenda packet. According the SCGP bylaws, in order to be considered a member of the Party for meetings and conventions, a citizen must have either (a) paid annual dues or (b) been an active member of a party organization in the state. To be sure you are a member for 2011, send in your $25 annual membership contribution. You can send your checks to SCGP, P.O. Box 5341, Columbia, SC, 29250. (a) Volunteer for a state or national committee! Opportunities exist for volunteers on all state committees, including communication, fundraising, website, elections, and outreach and membership. The SCGP is eligible to have representatives serve on most of the national USGP committees. For a list of committees, check out http://www.gpus.org/committees.html. If you’re interested, please reply to this email and let us know about your interests and skills. Encourage your friends to become members of the SCGP. The best way is just have them sign up through our website (www.scgreenparty.org). Or they can send their name, address, and phone number to scgreenpartyinfo@earthlink.net. We will add them to our mailing list and forward their names to our local organizers. (c) Join our Discussion Forum!